and the monsters we make. The Frankenstein Condition is an engaging, self-deprecating and often funny look at our modern day tendency to construct our identities and expectations around what we see as the best of others. Much like Victor Frankenstein, we create our monsters from pieces of the people around us. People who we admire: celebrities, family, friends and social media. This book explores topics like: envy, jealousy, self-image, peer influence, drug shaming, self-medication and of course, monsters. Robert B. Smith hasn’t always hunted monsters. He is also an internationally recognized Creative Director, entrepreneur, college professor and father. His mother will tell you that he has always been a talented boy with an incredible imagination, always drawing or writing stories. His teachers would say the same, but didn’t share her enthusiasm. This is his first book in a series dealing with the disconnect of expectations and reality. And of course, monsters. 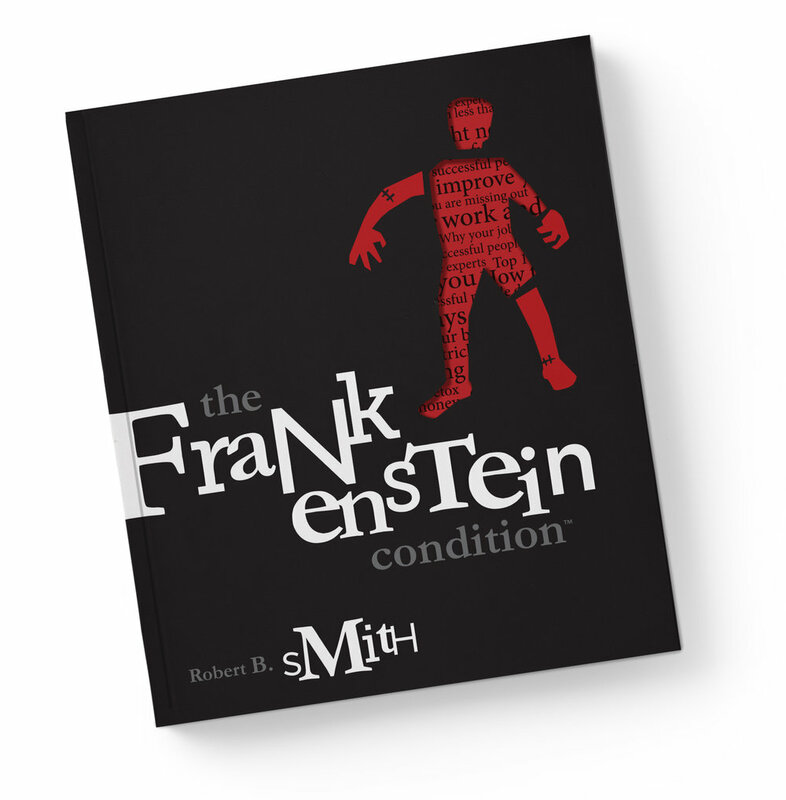 "Robert Smith addresses the monsters that lurk among us in The Frankenstein Condition. It's a rather irreverent take on self-help, from the creative mind of a man just trying to make sense of things. For those struggling with anxiety and depression, or for their loved ones, this book puts the monster in its place so we can get back to enjoying life." “I didn’t expect to laugh out loud reading this book, but Robert has taken a painful subject for many and completely disarmed the concept of imperfection in a world of people striving to appear perfect by cobbling together their identities"
This edition of The Frankenstein Condition includes the incredible illustrations of legendary artist Bernie Wrightson. They are taken from his 1983 Frankenstein adaptation of the original Frankenstein, written by Mary Shelley. It included an introduction by Stephen King and approximately 50 detailed pen-and-ink illustrations. Wrightson spent seven years on the illustrations for this passion project. He is also remembered for his work on illustrated versions of Stephen King books, creature design for Ghostbusters and the co-creation of the Swamp Thing. On March 18th, 2017, Bernie passed away following a long battle with cancer. His talents will be greatly missed.